Inside and out Hydroswing® is the best. Technology has moved on from wires, cables, pulleys and straps. Hydraulic doors will soon be the only logical choice for aviation, industry and architecture. 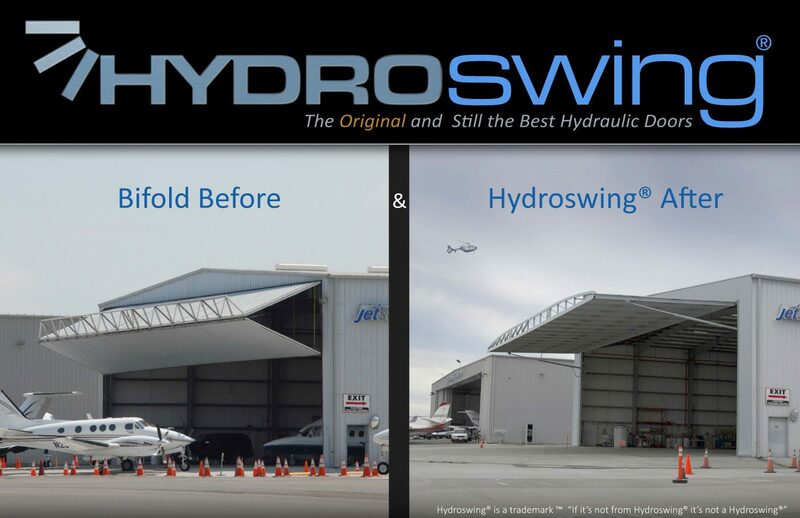 Hydroswing is quickly becoming the number one replacement door in the world. 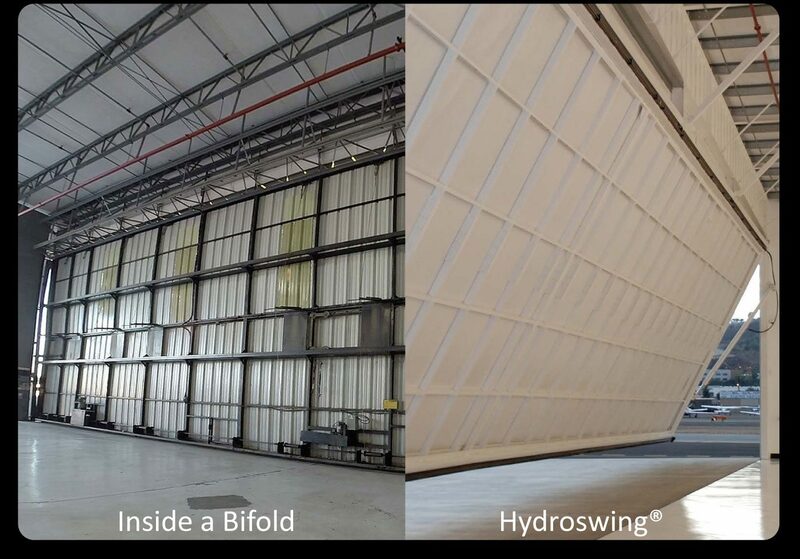 The Hydroswing® Hydraulic Door System is a single panel hydraulic door solution that easily replaces ALL bifold doors.